Manchester United take on Celta Vigo in their Europa league second leg tie at Old Trafford, with a one goal advantage following Marcus Rashford’s winner in Spain. Following the 2-0 loss to Arsenal on Sunday, it is clear that the Europa League is Jose Mourinho’s main focus now, and is the club’s best way of getting into the Champions League, as well as having the chance to lift the trophy for the first time in the club’s history. Sergio Romero has been given the nod for the majority of the Europa League campaign, playing 10 of United 13 games this season. 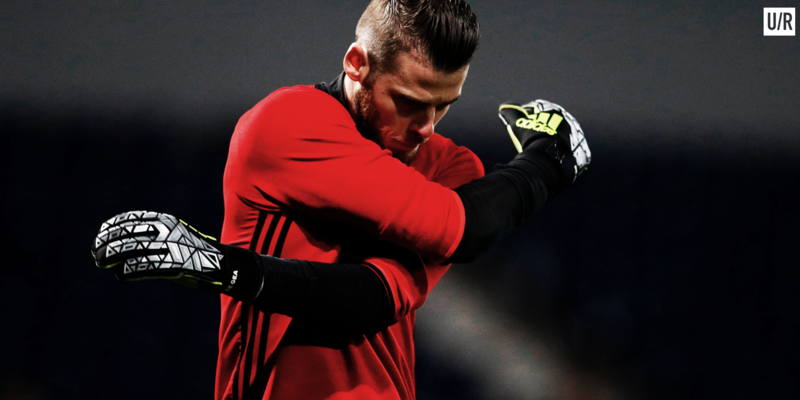 United’s number one David de Gea has not played since the 2-1 defeat to Fenerbahce in November, but now is the time for him to replace Romero for the tie against Celta and, if they get there, the final. Romero is a very capable goalkeeper and has a brilliant record of 18 clean sheets in 28 games for United. However, he is just a back up keeper, and with United Champions League hopes resting on the Europa League, De Gea has to start. Every United fan know that De Gea is the best keeper in the world, and Romero just isn’t capable of making the saves that De Gea makes. This could prove crucial if United are to lift the trophy in Stockholm, and while it would be harsh on Romero, who has not put a foot wrong he could start the Premier League games, as it is clear that Mourinho has no interest in the league until next season. United’s achilles heel this season has been their inability to take their chances, especially at home, and as shown by the quarter-final tie against Anderlecht this nearly cost them dearly. With De Gea being more agile then Romero and making 1.62 average saves per game this season, it is clear that he is more capable of keeping out a potential Celta Vigo goal. De Gea is also more vocal than Romero, telling his defenders what to do and organising them. Chris Smalling and Phil Jones are unlikely to start against Celta, but if they do they will feel more confident with de Gea telling them what to do as they have just come back from injury. With De Gea organising the defence there is less of a chance of United conceding a ‘silly goal’ like they did against Anderlecht. Also their is a chance that not only tonight’s game, but potentially the final will go to penalties. De Gea has proved that he can make big penalty saves, as shown by his denying Romelu Lukaku from the spot in the FA Cup last season. He has made 11 penalty saves in his career, compared to Romero’s four. Finally, with United putting all their eggs into one basket, in regards to Champions League qualification, they have to play their strongest team to make sure they lift the Europa League. This was shown by Mourinho resting players such as Paul Pogba and Eric Bailly on Sunday as he knows that he will need his best players. Therefore De Gea must start otherwise, with United’s poor finishing, there is a risk that they will be playing Europa League football again come next season, thus risking another poor Premier League season. Regardless of who starts in goal for United tomorrow however, Mourinho won’t be able to pick Timothy Fosu-Mensah, Ashley Young, Marcos Rojo, Luke Shaw, or Zlatan Ibrahimovic who all remain side-lined due to injury. A number of players who did not feature on Sunday, such as Pogba, are all expected to start the game. Does Wayne Rooney deserve more respect?